Enabling the Positive Use of Artificial Intelligence for All.” AT&T, one of the world’s telecom pioneers, is building an open-source AI platform called Acumos as part of its “Aiming to Make AI Accessible to Everyone” project. What do Alexa, Amazon’s smart personal assistant, and Hephaestus, a blacksmith found in Greek mythology, have in common? Despite nearly two millenniums separating the two, it’s artificial intelligence (AI). While we think of modern AI as being in its infancy, the concept dates back to ancient times — and it’s fascinating to discover how artificial intelligence has transformed from metal men, mechanical toys, programmable machines, and computing to self-driving cars, chatbots, big data, cloud computing, machine learning, and deep neural networks — and beyond. So, how did we get from Greek mythology to where we are today? Let’s take a quick look at some of the milestones in the development of artificial intelligence. Hephaestus, son of Zeus, is the god of the smiths in Greek mythology. In addition to his metal-smithing skills, he brought his creations to life. His sentient machines took the form of people (such as golden talking handmaidens), animals, and everyday object that were used as servants. Another Greek legend involves Talos, a bronze man made to defend Crete from pirates and invaders. Programmable humanoid robot (13th century) — A boat contained four mechanical musicians who played based on water flow. Gutenberg’s printing press (15th century) — Gutenberg improved on other press technologies, transforming communications as a result. Clocks (15th – 16th centuries) — Clocks were originally produced using lathes to measure time. Clockmakers soon began adding mechanical animals. 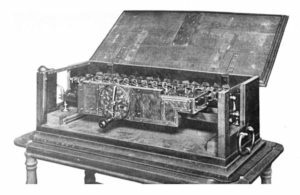 Mechanical digital calculating machines (17th century) — Blaise Pascal invented the first mechanical digital calculating machine, which was later improved upon by Gottfried Leibniz’s Step Reckoner. Other machines for arithmetic were invented during the same general time period by Sir Samuel Morland. Mechanical toys (18th century) — Mechanical toys became extremely popular during this time period. A classic example is Jacques de Vaucanson’s mechanical duck, an intricate, gold-plated, life-sized creation that could quack, stand on its legs, and even digest a grain of rice and poop it out. Programmable machines (19th century) — The first programmable machine was the Jacquard Loom. The loom was controlled by punchcards containing instructions for weaving complex textile designs such as brocade and damask. Electro and Sparko, a mechanical man and mechanical dog (20th century) — These two appeared at the World’s Fair in New York (1939). The Leviathan by Thomas Hobbes (17th century) — A book describing a mechanistic and combinatorial theory of thinking. Frankenstein by Mary Shelley (19th century) — The classic tale of a monster, brought to life. As We May Think by Vannevar Bush (20th century) — A book describing a future where computers help humans in a variety of activities. The term “artificial intelligence” first appeared in 1956 during a Dartmouth Conference devoted to the topic. Since then, a huge list of innovations have contributed to the development of this field. The 1990s saw huge leaps in technology as varied as machine learning, data mining, virtual reality, and more. During this time, IBM’s Deep Blue chess program beat the reigning world champion and the first autonomous robotics system successfully landed Sojourner on the surface of Mars. Today, AI makes things smarter. For example, smart homes and offices know when you arrive and leave, reacting accordingly by turning on the lights, adjusting the temperature, locking and unlocking doors, and more. Cars can detect pedestrians and objects, automatically braking to avoid a collision. You may wonder, what does AI have to do with telecommunications? The telecommunications industry is deeply involved with artificial intelligence. 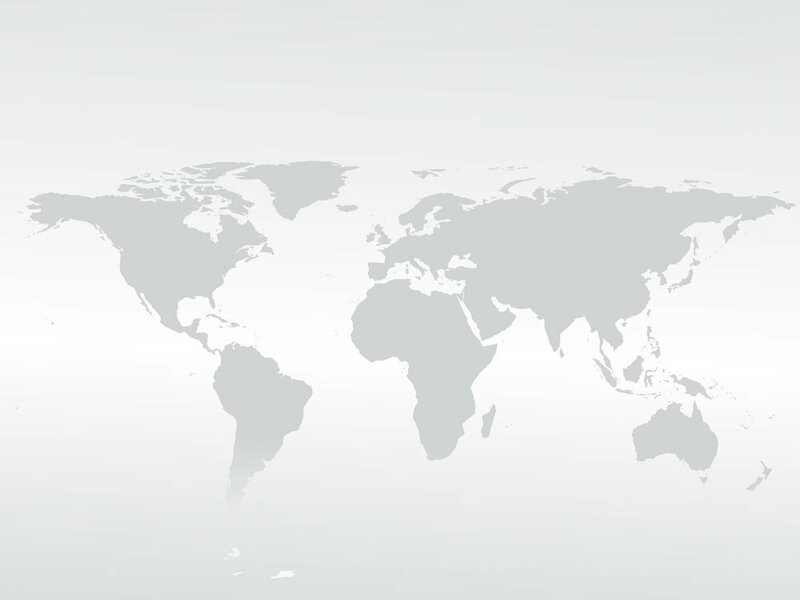 Not only does the industry benefit from smart technology, like real-time transcription, automatic dialing, and automatic call report generation, it’s championing its development. In fact, the theme for 2018’s World Telecommunication and Information Society Day was “Enabling the Positive Use of Artificial Intelligence for All.” AT&T, one of the world’s telecom pioneers, is building an open-source AI platform called Acumos as part of its “Aiming to Make AI Accessible to Everyone” project. From the stuff of legends to the stuff of sci-fi, artificial intelligence has arrived.